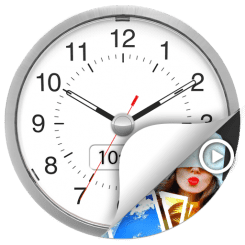 Clock Vault(Secret Photo Video Locker) is a best privacy protection app to keep safe & easily hide your private photos, videos & any other files that you do not want others to see on your device. This is a Must-Have App for protecting your privacy as hiding each of the media files using password! You can easily manage the folders or albums of gallery & view, move & export pictures. • Hide Pictures: Easily hide pictures to our vault from your gallery with private photo locker. • Hide Videos: Easily hide your private media to our vault from your gallery with private video locker. • Strong AppLock: Lock your Messenger, Gallery, Browser, Contacts, Email or any other apps you choose. You can also lock Wifi, Bluetooth & recent tasks. • Fingerprint Protection: You can use your fingerprint to Unlock your secret Clock vault and Applock Fingerprint. • Icon Hide/Replace: Replace your Clock Icon with other icons like Vault Calculator, Whether, Music, Calculator Lock, Calculator Vault etc for better disguise Vault. • Break-in Alert: Capture a snapshot and mails to you the selfie of anyone who tries to unlock apps behind you. You can also See & save the snooper photo from inside Gallery Vault. • Fake Password(Decoy Locker): Support Fake Locker system and show fake content when you input fake password to protect real gallery lock. • Private Browser(Incognito Browser): Private web browser to download and Lock photos, videos and audios from Internet & leaves no tracks in your system. • Video Player: Super Inbuilt Video player to watch videos inside video Vault. • Themes Applock: Choose different type of applock themes to beautify your lock screen, Select your gallery image to set behind lock screen. • Easy Navigation: You can easily navigate to back screen from anywhere inside Gallery Lock by swipe right from left edge like iphone navigation. • Beautiful Design: Smooth and elegant user experience. - App Disappears from recent apps list. - Protects Time Lock from being uninstalled by kids or strangers. - Set Backup Pattern Lock for your app lock. - Direct Hide files from gallery by share option. Share to Vault from your gallery to Instant hide multiple photos videos. How to Use Time Lock? Step 1: Launch our Vault Clock and press the middle button of clock. Step 2: Set a desired time password by moving hour and minute hands and press middle button of clock. Step 3: Now repeat the password to confirm. IMPORTANT: Do not uninstall this app before restoring your personal files otherwise it will be lost forever. This app uses Device Administrator Permission. Clock Vault needs Device Administrator Permission to prevent it from being uninstalled by snoopers & this app never use this permission except for uninstall prevention. Timer Vault need Accessibility services Permission for power saver & help users with disabilities to unlock apps. - Launch Clock Vault and press middle button of clock. Set 10:10 time by moving hour and minute hands and press middle button again. It will open password recovery option. Can I recover my files after uninstall of this app? -You cannot recover your files once you uninstall the app. To prevent your app from uninstall please switch on “Uninstall protection” from this app settings. We focus on Full Privacy Protection and provide the most advanced Hide Picture and Hide Video app to keep safe your privacy!